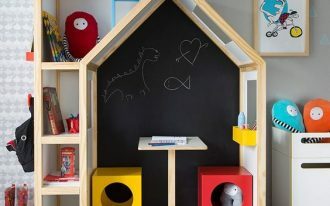 Although modern look loves to have neutral colors on the sight and tend to not using colorful furniture to decorate the room, but it does not mean that it is impossible to mix and blends modern design with colored touch. 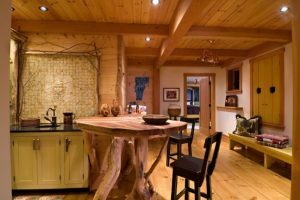 Here below are some ideas on the mixes used in the kitchen. If you love a fusion like this, this is perfect for you. 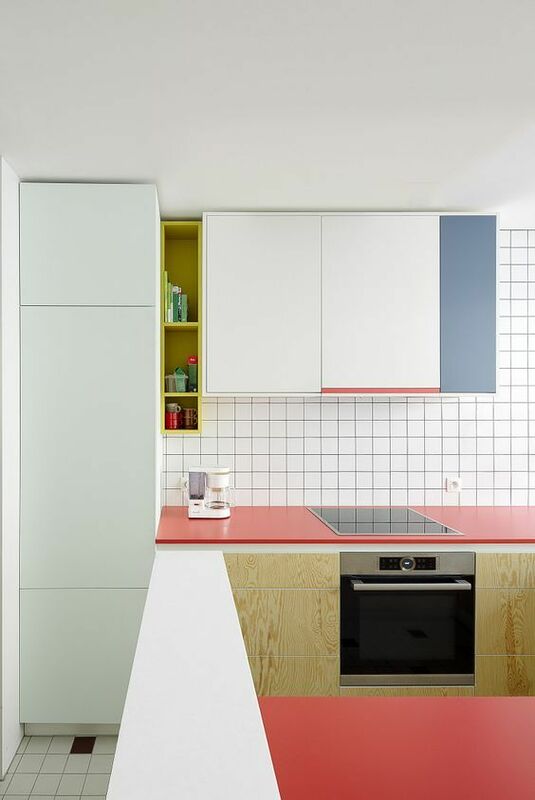 This kitchen looks so fun with the lines and color playing on the wall. 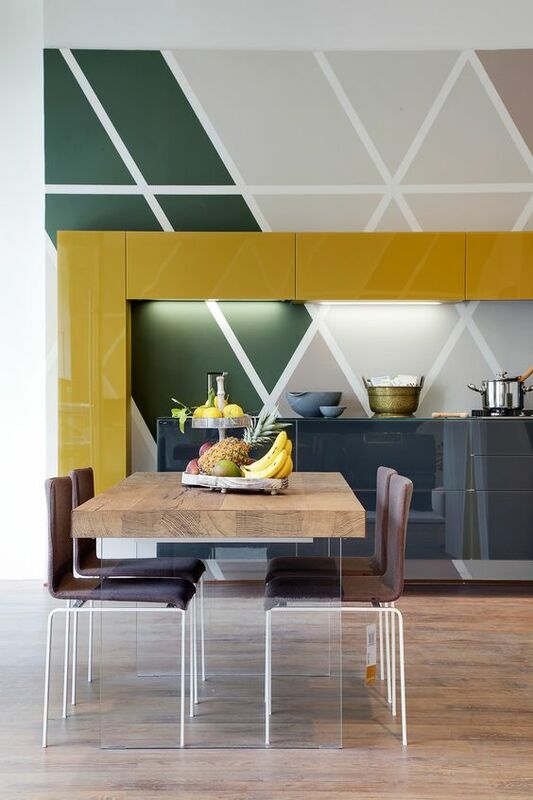 It is not only the green and grey wall tiles but also the glossy yellow upper cabinet that looks exciting. Completed with grey modern glossy bottom cabinet, it is only a right thing to match. 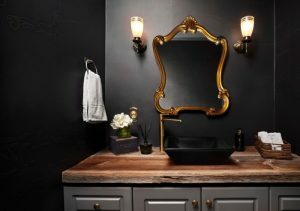 IT matches the glossy look but balance the colorful touch. 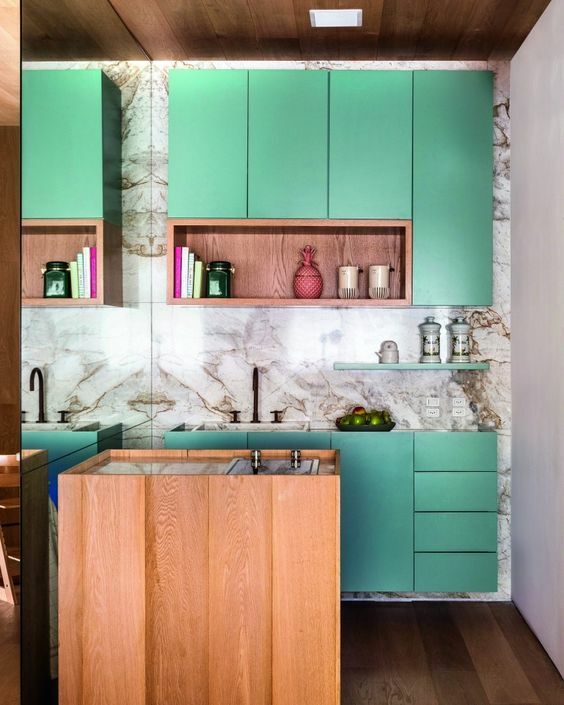 Although people choose to put marble with more neutral color, it turns out, green can be an interesting choice too. 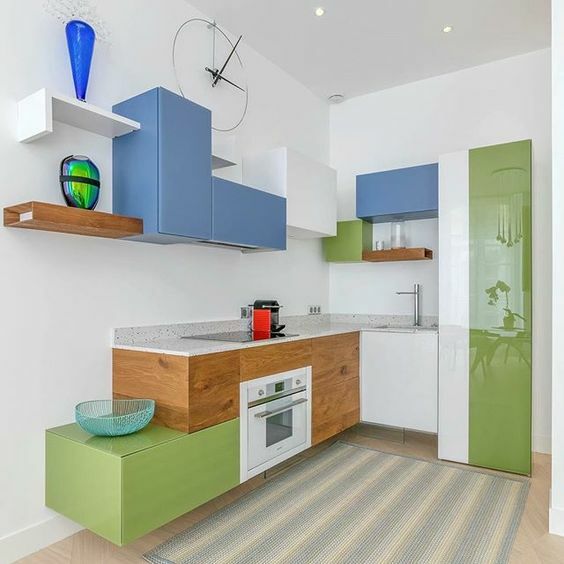 The smooth and clean look on green modern cabinet looks contrast compare to the marble wall. But, it is still a fun mix. In this dark kitchen, the refurbished wooden cabinet looks so warm and complement the room. The yellow line is added to make the kitchen more fun. 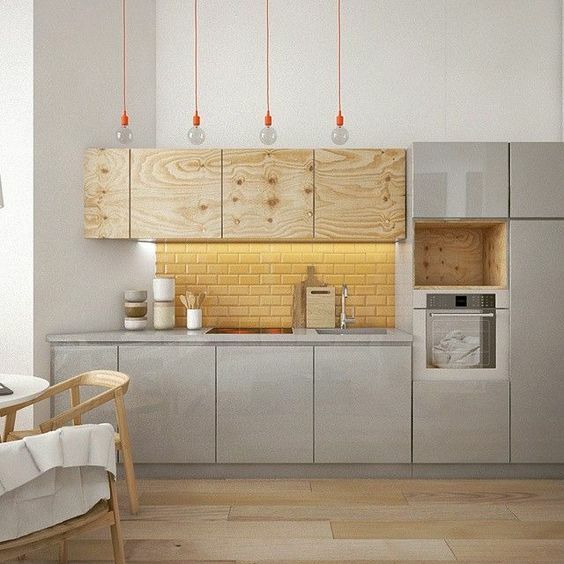 Although it looks simple in a way, this one kitchen actually has an interesting details. 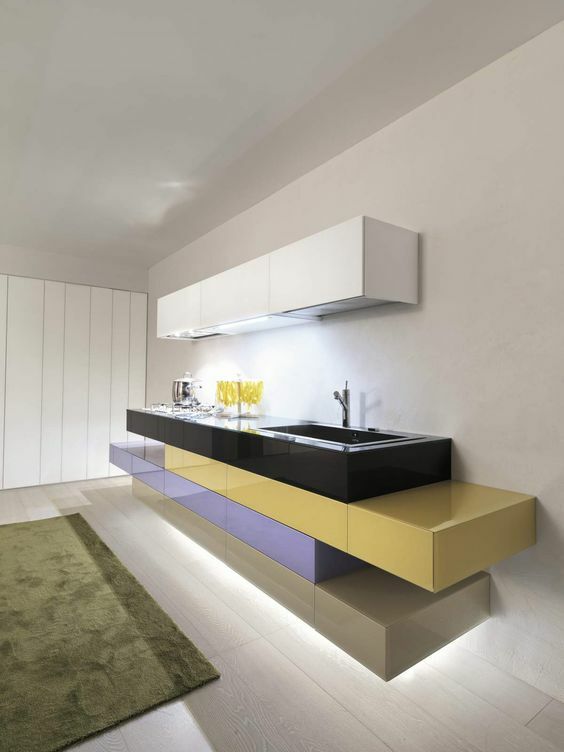 The glossy stack under the kitchen top with soft color, the LED under the cabinet, and the boards arrangement. Of course, the stack is smooth and minimalist in details. 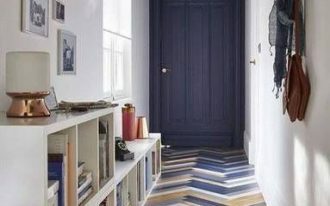 While the previous one plays with soft colors, this one here plays with bold colors on each door of its cabinet. Ad the overall look is really gorgeous and exciting! 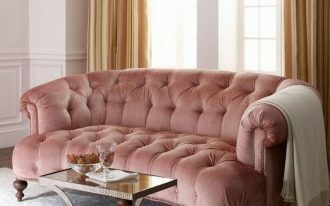 The design of the furniture is of course lean and smooth just as expected in modern furniture. 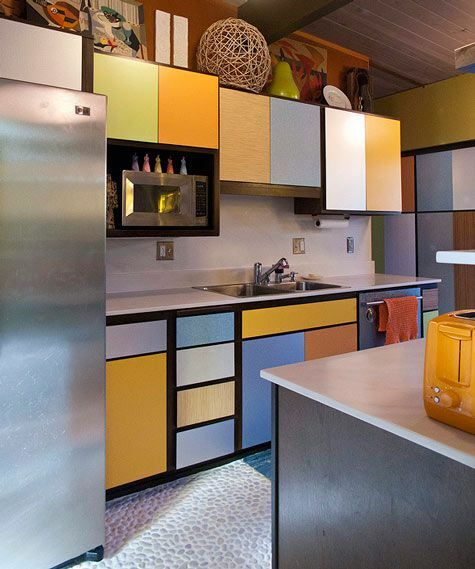 In this kitchen, the color choices and the arrangement are both interesting. The cabinet and everything is of course in the minimalist details. But with different colors like this, it contrasts here and there. 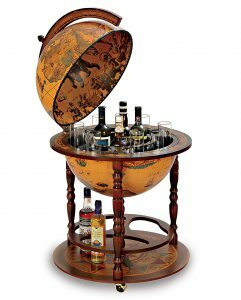 Not to mention the irregular arrangement of the upper cabinet. 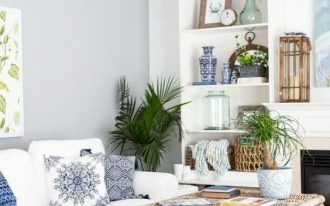 If you love to go neutral but you want to add color to make it more exciting, this one here shows what you can do. 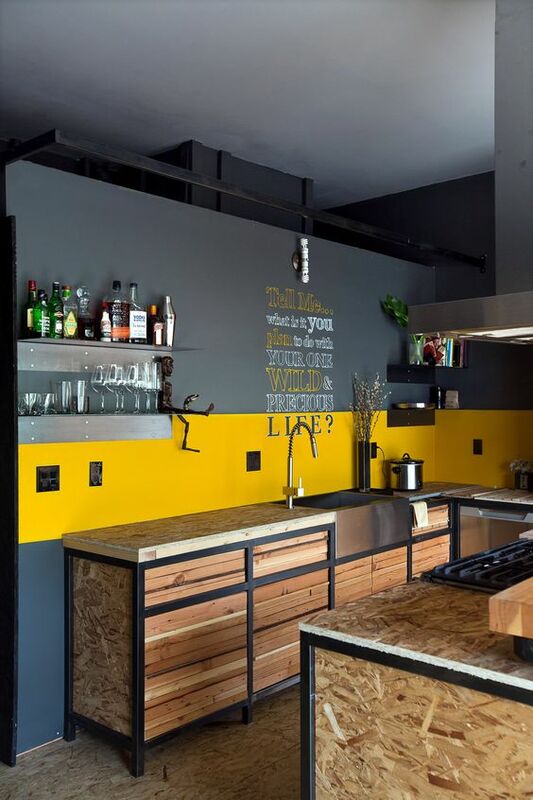 With wooden floor and modern grey and wooden cabinet, this one adds yellow subway backsplash to spice things up. 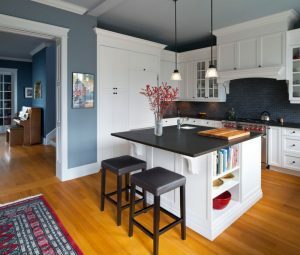 In this neutral kitchen, the blue colored addition looks pretty and pronounced against the dark and neutral background. 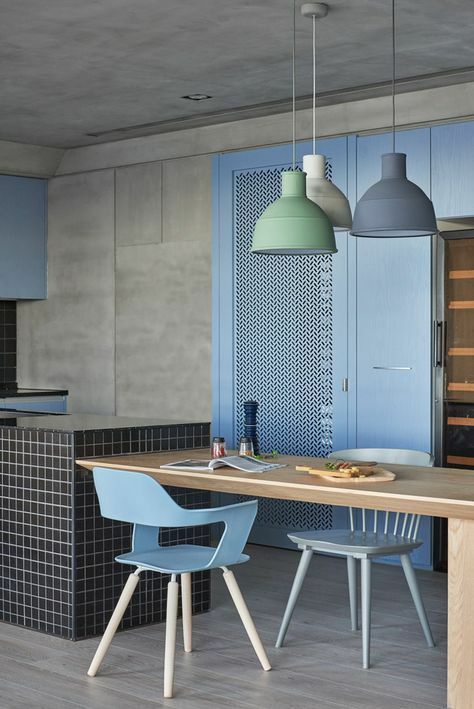 The blue cabinet and chairs compliment the pantry perfectly well. 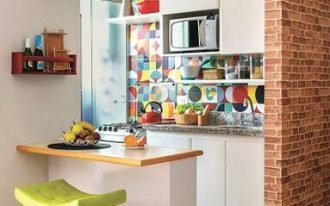 This modern white kitchen looks creative in pattern and color. With white as the majority color in the room, the salem pink kitchen top, blue small cabinet, and lime small shelves look so pronounced. In this kitchen, the neutral white takes a large space. 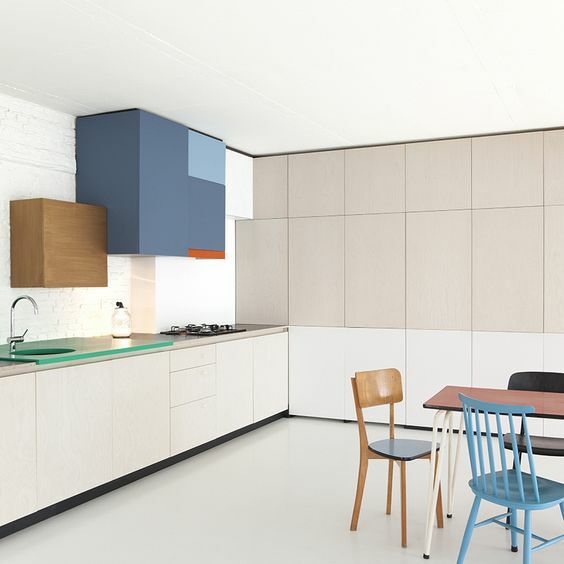 And with that, the green kitchen top, blue upper cabinet, and soft pink dining table looks clearly in contrast. It is so fun in playing colors with white background.